Clowning at MoRUS this Friday night!!!! 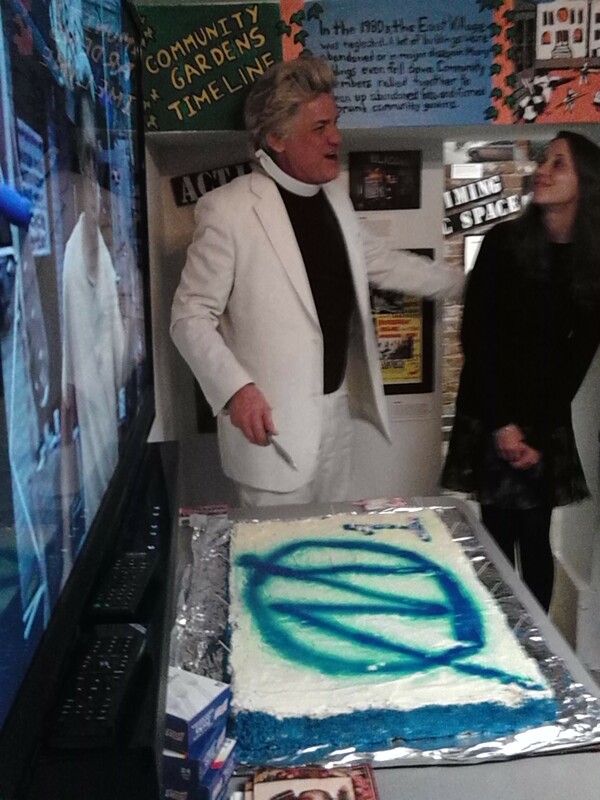 Reverend Billy of the Church of Stop Shopping cuts the cake to celebrate the 1 year anniversary of MORUS. I’m doing the shortest version imaginable of my play A CLOWN, A HAMMER, A BOMB, AND GOD this coming FRIDAY at the Museum of Reclaimed Urban Space (MoRUS). Address is 155 Avenue C. Time is 7, I go on first. Here’s a press release–it’s MoRUS’ first birthday!!!! be generous.